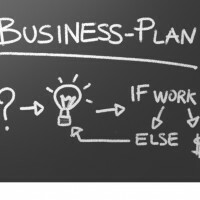 When preparing a business plan, one of the most important elements you should have in mind is balance. On the one hand a business plan should present real projections of your plan and, on the other hand, it is a powerful sales tool as well. Your business plan must demonstrate optimism, excitement and acknowledgment of risks. It must be accurate and businesslike. You should always keep in mind that the people to whom your plan will be presented are qualified professionals, meaning that unclear, confusing and unorganized plans are not taken seriously. As a result, your idea and you personally are not taken seriously. Business plans that are not monotonous and show a good use of graphics, could catch the attention of someone who reads numerous of similar presentations every day. Do not forget that the process of preparing a business plan is ongoing, as both assumptions and projections are re-evaluated.